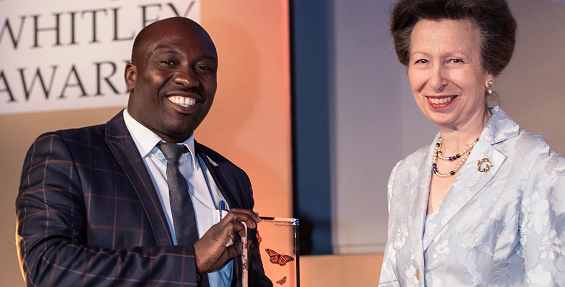 We are pleased to announce that Dominique Bikaba’s – ICCA Consortium Council Member with special responsibility for the ICCAs of local communities – project “Ensuring the Survival of DRC’s Eastern Lowland Gorillas” has won has won the 2018 Whitley Award donated by Arcus Foundation. The 25th Anniversary Whitley Awards Ceremony was held on 25th April at The Royal Geographical Society in London. 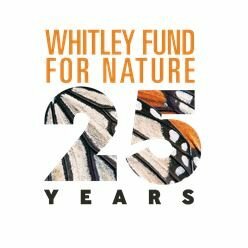 The Ceremony was hosted by WFN Ambassador, Kate Humble, with the Whitley Awards presented to the winners by WFN Patron, HRH The Princess Royal, in front of over 600 guests. This prestigious international prize honours exceptional individuals working in grassroots nature conservation in the world’s developing countries, and who often face humanitarian, environmental and political challenges in the projects they undertake. More about Dominique’s project can be found HERE. More details about the awards ceremony can be found HERE.